When I was a kid, Anne Frank was my hero. When I first read the diary, I must have been about the age Anne was when she began writing to “Kitty,” the journal she received from her father upon entering the hidden attic annex that would become her family’s home for over two years during the Nazi occupation. While the world outside was imploding, and Jewish families like hers were being herded into cattle cars and taken to concentration camps, forced labor, and (in most cases) horrific death, Anne and her family, along with another family and a dentist, lived in hiding behind and above her father’s business. Everyone knows the story. And the outcome. Aside from Otto Frank, Anne’s father, they all died after being discovered by the Nazis and taken to concentration camps. They all died, but their story lived on—thanks to the discovery of the small, cloth-bound journal Anne had hidden in the Annex before being taken away. Through Anne’s writings, we know who these people were and how being exiled together inside the back attic of a small building in the center of the city for two years made them behave, brought out the worst and the best in them and allowed them to dig deeper for meaning each day. Anne was 13 when she began the diary. In many ways, she was typical of any 13-year-old girl. In the beginning of the journal, she is angry at her mother and sister. She feels misunderstood, maligned. She turns to her father for comfort. She is still young enough to crawl into his bed at night when the bombs are dropping nearby, and she is afraid. Her concerns are trivial at first – she collects images of her favorite Hollywood movie stars and tapes them on the wall in her room. She recalls childhood disputes at school and wonders about the whereabouts of her former friends and rivals. As days turn into months and years, though, Anne’s writing takes a more urgent voice—as though, realizing this could be her one shot at discovering and making sense of life—she begins to philosophize about the nature of humanity and the world she is no longer a part of. She falls in love with Peter—the slightly older son of the Van Dam family, residing one floor above her own in the annex. She discovers romance and spends her evenings gazing at the sky with Peter through the dirty windows that must remain covered all day. This is the “why” of Anne’s journal and the reason, I believe, it spoke to our hearts. The story is remarkable – true – but the message of hope and faith in humanity, in spite of the evils of the world—that is why this little cloth-bound journal, written in private by a teenage girl trapped in an attic, transformed the lives of so many, including me– a teenaged misfit searching for meaning from her second-floor bedroom in Houston, Texas in the 1970s. Why Did She/Do We Write? Anne was writing in a vacuum. Though she began her journal writing for herself – to the imaginary friend she called “Kitty”—by the journal’s end, it’s obvious her intended audience has broadened. She is a writer—with an intention. She is writing for the masses. She may not know her journal will be discovered and published on her death, but she is writing FOR an audience, nevertheless. Her writing has intention. I believe she planned to use her journal as the source of a book someday. It is that intentionality in her writing that allowed the message—penned in a vacuum— to take wing. The intention in Anne’s writing gave the journal flight. Anne inspired the writer in me—even as a kid. I began keeping journals and kept the practice up for many years, well into my 30’s. I wrote for myself, and sometimes I imagined a future audience. I wrote to figure things out, to describe what I saw, to bring to life on the page little moments of my day. The nebulous “other” was usually there, unformed in my mind. My intention was also nebulous. Just to write, to document, to explore, I guess. Sometimes I imagined someone reading what I wrote. Other times, I blushed at the thought that someone might find my journal and misunderstand or judge. But I usually wrote with abandon and trusted that my writing was mine alone. When I had kids, my journal writing slowed, then all but stopped. I prejudged every word—worried that they would be hurt if they knew what was in my heart on any given day. I worried that the Universe would punish any perceived ingratitude on my part and disrupt my family’s well-being. Wishes, regrets, dreams were things to be hidden—even from myself. My journaling was so constrained that it no longer offered the release or meaning I had always experienced before. So I stopped journaling—just about the time blogging became a thing. The irony of today’s blogging phenomenon is that everyone now has an unlimited platform to share their thoughts with the world, but the open forum appears to be most lacking in intention—the one thing that propels writing into the realm of inspiration. We all have something to say. Everyone feels compelled to share everything—from cute kitties to physical woes and existential questions, political arguments, social commentary. What feels lacking is a reason. I remember an aphorism I heard in the early ’80s, during an EST seminar my mom convinced me to attend. All and nothing are the same thing. We live in a cyber environment of everything and nothing at the same time. It is difficult to find meaning. There’s too much of everything. It all feels like nothing. The reason most people don’t allow their genius to be unleashed upon the world, he says, is fear. Fear that something bad might happen. Fear they might fail if they try. Fear, he explains, is hard-wired in our DNA. It was useful for keeping us out of sticky situations with Wooley Mastodons. But it’s an evolutionary hold-over that is most often not useful to us now. When we fear failure – in marketing, blogging, business, etc.—it’s a false fear because nothing terrible will happen to us if we try and put ourselves out there. We might fail, true. But we won’t be eaten. Each failure we experience is an opportunity to learn and grow and be better at what we do. We should let our genies out of the bottle, and see what happens. Here’s the real reason everything feels like nothing most of the time. We have no obstacles to hold us back, but most of us also have no INTENTION. For a message to grow wings and take flight, it has to be fueled by intention. Real intention—one that will create CHANGE. Anything else will just keep the message running in place on a comfortable, but useless, treadmill of mediocrity. If there is no purpose to make us feel good about having done it or to create meaningful change in someone else; if it’s just about making money or searching for Internet fame, then it’s just more empty noise in the void of everything. The way to be remarkable, he suggests, is to produce work that people will remark on. Write with the intention of creating change, and care enough about the work you produce to create the type of content that people will remark upon and share. You have access to everyone and everything. Can you make change happen? 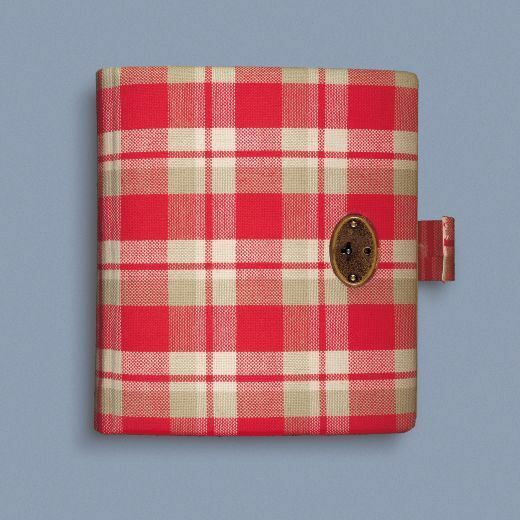 Anne Frank changed the world with a pen and cloth-bound journal, from an attic.